This entry was posted in Uncategorized on March 9, 2018 by Student One. A recently published (2017) ‘Occasional Paper’ about a little-known and now defunct Sydney school provides a fascinating window into Sydney’s community in the mid-twentieth century. Drawing from historical records and personal recollections – which complement each other neatly – the author, Colin Dennett, now of Canberra, tells the story of The Mowbray School which operated on Sydney’s North Shore from 1907 to 1954. Dennett attended the School in the Fifties, and his stories about life there and the personalities whom he encountered enliven what might otherwise have been just dry information about a building. 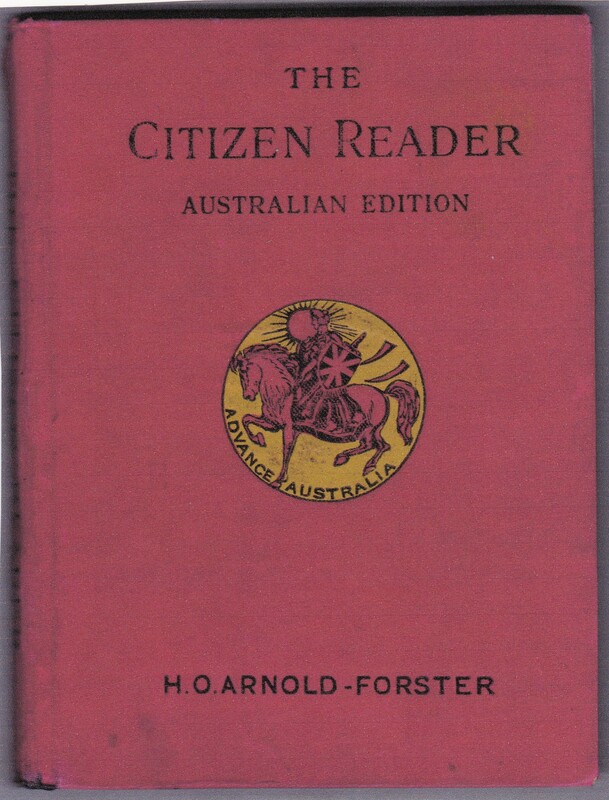 This is a highly readable narrative, especially for those who attended The Mowbray School and the other schools for which Mowbray was a ‘feeder school’, such as Sydney Grammar School. Others, who grew up in New South Wales in the first half of the Twentieth Century and into the Fifties, will recognise many of the events recorded by Dennett, and the people-distinguished and otherwise – who dominated the State’s rich political, legal and societal scene; and who left their mark in particular on Sydney’s development. Amongst the wide range of eminent figures who had an association with the school were –Sir Edmund Barton (Australia’s first Prime Minister); Justice George Rich (who drafted Australia’s Constitution and became a Justice of the High Court); Rev George Long (Bishop of Bathurst); Billy Hughes (7th Prime Minister of Australia); Sir Phillip Game (Governor of NSW and, later, Commissioner of London’s Metropolitan Police); and R J F Boyer (ABC Chairman). The School survived World War I 1914-18 (the ‘Great War’), the Great Depression during the thirties and World War II in the forties, with ‘the numbers of boarders and day boys … maintained.’. Mowbray’s boys also saw, in 1952, the death of George VI and the ascension to the Throne of Queen Elizabeth II. ‘Germany’s Crime… German school teaching will probably be found to be primarily responsible for rendering these lamentable war phenomena possible… There is abundant evidence that it was part of the preparation…by the conspirators who planned the onslaught upon civilized people…’. What sort of school was Mowbray? Dennett compares it favourably with the English Grammar School, as reflected, for example, in Anthony Buckeridge’s ‘Jennings’ series of humorous novels of school life in England – life characterised in the novels by ‘schoolboy adventures and pranks’. Dennett himself confesses to taking part in Jennings- style pranks, both at Mowbray and, later, at Tudor House Preparatory School in Moss Vale, another school based on the English model. This is an engaging story, with factual material neatly interspersed with personal perceptions and recollections, lively anecdotes and frequent references to Lancelot Bavin, the School’s Headmaster for some 48 years. In addition, there are several handsome photographs of the school itself. Dennett observes that ‘…Mowbray…has involved many people… and by now, thousands of descendants’; and he expresses the hope that ‘(its) rich and meaningful history’ might find its way through to at least some of them’. Those who do read it will be, as was Dennett, ‘transported back in time to experience aspects of their lives and beyond which they never knew anything about’. This entry was posted in Uncategorized on February 28, 2018 by Student One. 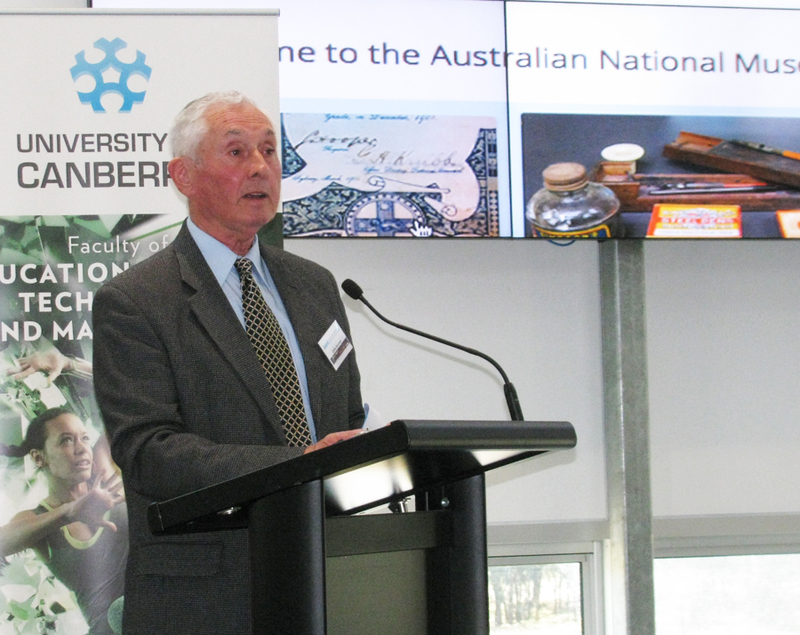 Canberra identity, Mr James Service, AO, launched a new ANME publication, Mowbray House Sydney: Reflections, at the recent ANZHES Conference held at the Inspire Centre in September. Mr Service has had a long and distinguished career in the property industry and has served in a range of capacities in public affairs and causes within the Canberra community. The author of the Occasional Paper is Colin Dennett is a former pupil of Mowbray House Boys’ Preparatory School which existed from 1906 to 1954. Colin’s chance re-connection with his first school came about through his discovery of the school archive which was presented to the ANME by Sydney lawyer, Mr Trevor Fowler in 2014. Colin’s exploration of this archive has resulted in a fascinating study of the Headmaster’s Reports over the first half of the 20th Century. Mr Service is also a former pupil of the school. This entry was posted in Uncategorized on October 19, 2017 by ANME Director. During June and July, the Director toured a number of school museums and Victorian classrooms in England and Ireland. This enabled him to promote the ANME and to exchange information with curators and staff. His visits included the British Schools Museum in Queen Street, Hitchin, The Ragged School in London’s East End, the Sevington Victorian School near the village of Grittleton in Wiltshire and the Ballyverdaugh National School, in Northern Ireland. This entry was posted in Uncategorized on September 3, 2017 by ANME Director. Professor Geoffrey Riordan, Dean of the Faculty of ESTeM, will give the 11th Annual Historical Perspectives on Education Lecture. The lecture will be held in conjunction with the ANME-ANZHES conference at the Inspire Centre at the University of Canberra on Sunday 24th September, 5pm – 7pm. This entry was posted in Uncategorized on June 22, 2017 by ANME Director. 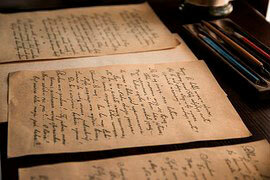 Preserving paper records is a down-to-earth course on how to handle, store and transport paper documents, including practical sessions on how to clean and de-acidify old paper. This course is aimed at records managers, librarians, people who are familiar with basic paper preservation and would like to know more, including emerging conservators and students and anyone else who loves and cares for old documents. If you have any questions, or would like to attend this course, please email Ngaio Buck at FADadmin@canberra.edu.au to confirm your availability. This entry was posted in Uncategorized on March 20, 2017 by ANME Director. This entry was posted in Uncategorized on March 11, 2017 by ANME Director. Jessica Goodvinn, Honours year student in the Bachelor of Heritage, Museums and Conservation has has won the 2016 ANME Prize. 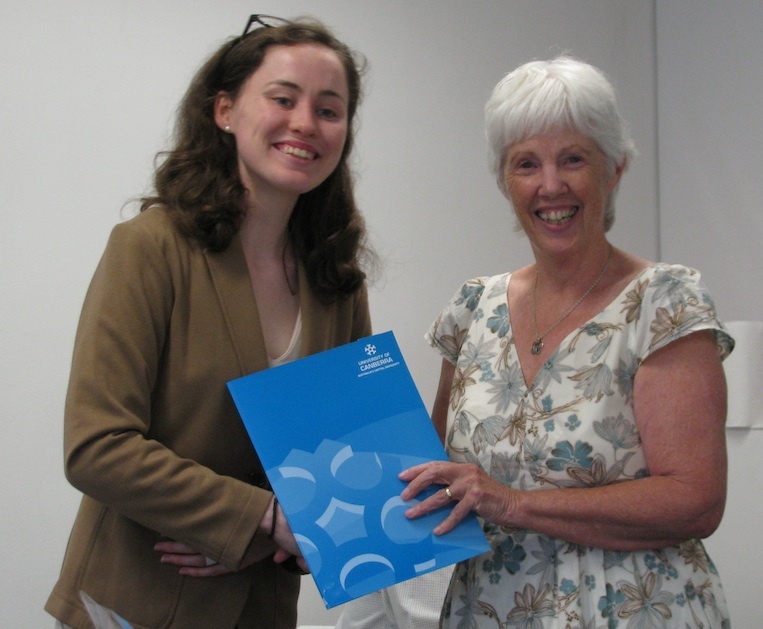 Jessica was presented with her prize by the Chair of the Board Prof Barbara Pamphilon at the December 2016 Board of Management meeting. This entry was posted in Uncategorized on February 3, 2017 by ANME Director. 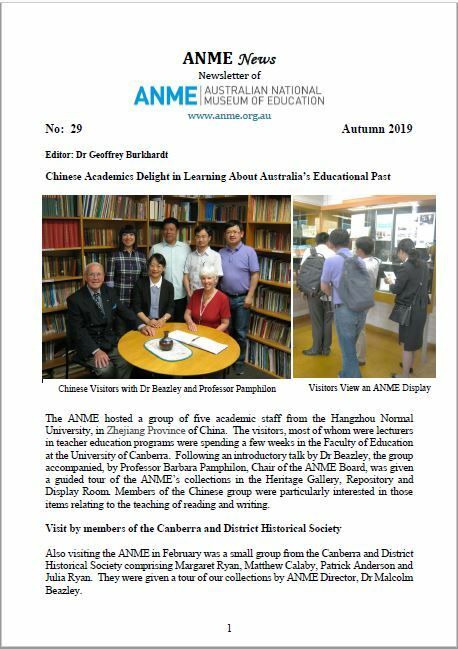 Next year the Australian National Museum of Education will join the Australian and New Zealand History of Education Society (ANZHES) in hosting their annual conference. Full details about the conference can be found on the ANZHES website. This entry was posted in Events, News on October 11, 2016 by ANME Director.